The world has been waiting for this album for eight years – DJ Koze returns with an astonishing, mindblowing album that has not exist in this form as of yet! 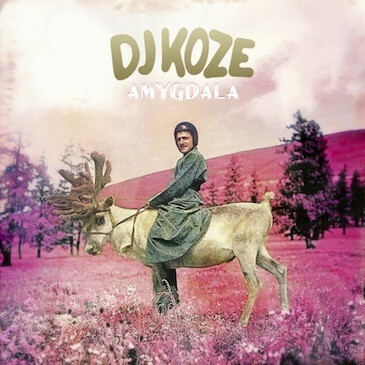 "Amygdala" is Koze's Sgt. Pepper. It's an unreal 78-minute walk through Koze's mind, complete with moods, intensities, sounds and scenes as yet unheard of. It feels more like a double album, urging you to turn over and change the records time and time again. "Amygdala" amazes by its sheer musicality, deepness and its ethereal sound design. Nobody else could unite artists like Caribou and Dirk von Lotzow, Hildegard Knef and Mathew Dear, Ada and Milosh in such an organic way and on one and the same record as Koze did. There's never been anything like it. In the true style of Kosi Kos, it's all about "the courage to dare", about letting voices resonate undisguised in all their authentic peculiarity. About creating truthfulness. How much can you cut out, when does the flame die down? On the other hand, under which circumstances could it even burn for ever?